After reading this article, you can also read Why demurrage/detention waiver period is required at destination for import? How to obtain waiver on detention/ demurrage on imported goods/container from Shipping company/CFS. 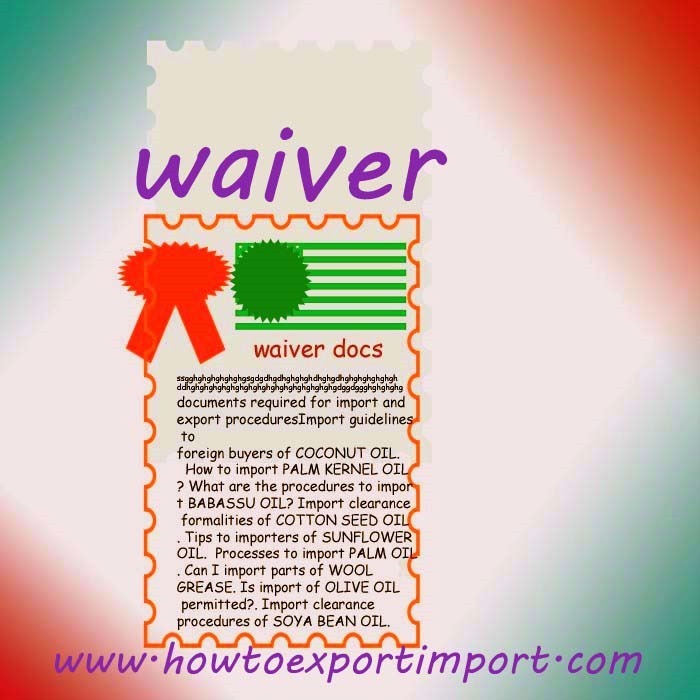 Importers or exporters in the export import trade normally ask the procedures to obtain waiver of demurrage or detention from either shipping carriers or Container Freight Station. Can an importer get reduction on demurrage from container freight station or Inland Container depot who is custodian of cargo under customs supervision? Is there any rules and regulations on waiver of such demurrage by shipping companies or container freight station, customs bonded warehouse, or Inland container depot. Here the question is why importers requires a reduction/waiver of demurrage/storage from shipping carrier or CFS authorities. In a normal import clearance practice, the authorities permits minimum free days to complete import customs formalities where in no demurrage occurs. Such free days after arrival of goods could be about 3 days to 7 days, depends up on customs location and norms adopted by custodian with the approval of necessary customs department, at the beginning on operation of CFS/ICD/Customs bonded warehouse, amending later if necessary. The importers need to complete necessary import customs clearance procedures within the said period and take delivery of cargo without paying demurrage. However, due to delay in processing necessary import clearance procedures due to various reasons, the cargo might be delayed to move from customs location to importers place. If the duration of completing necessary import customs procedures crossing stipulated period of time, importer need to pay demurrage/detention to the authorities mentioned. Can an importer gets waiver on detention of import container from shipping company or CFS/ICD, if not cleared within the allowed time? 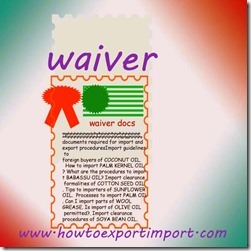 There is no specific tariff to waive detention charges by shipping company to importers. However, if cargo is delayed to customs clearance for more than 6 months, the detention/demurrage charges accumulates to exorbitant and the importer may not be able to take delivery of cargo if comparing the value of goods imported with the demurrage he needs to pay. In such cases where in the imported cargo is un cleared for a long time, the CFS authorities and Shipping line may waive off, a certain percentage of demurrage/detention with full discretionary power of the concerned authorities. Normally, major shipping lines do not offer any waiver to their customers on containers un cleared within 365 days on arrival of goods. However, in special cases, exemption/reduction on demurrage/detention is allowed time to time with special notification to reduce the number of longstanding equipments (containers) with customers. The shipping companies and CFS/warehousing authorities waive off certain amount of demurrage for the purpose of minimizing congestion at the port, Container Freight Station (CFS), Inland Container Depot (ICD) or customs bonded warehouse. In such cases, up to 50% of detention may be waived of by shipping company by issuing a special notification, if containers un cleared for more than one year at importing customs location. Such special offer may be valid only for a particular period of time fixed by the authorities with special notification. Also read Why demurrage/detention waiver period is required at destination for import? Gavin Rosenberg : On 12 February 2015 I have a client based here in Los Angeles CA, USA that has an office in New Delhi. I have sold to the Los Angeles office and approximately 20 other offices around the country a computer backup storage solution.Simply – it would be best for all the hardware/software to be identical around the world. I have a shipment of around $85.000.00 (US) that is ready to ship to India. I have been forewarned that the taxes, duties and fees in India is significant. My question: The hardware has a value of say $30,000. The software built into the hardware (backup software) along with support fees is the balance.I am looking for guidance, whom do I contact to get a clear understanding as to what the additional cost will be. One additional fact – the shipment will be paid for here in the USA as the office in India has limited access to funds. The manufacturer attempted to ship a shipment to another client last year, apparently the shipment was eventually abandoned. Any assistance/guidance will be appreciated. sivaji exports : On 12 February 2015 i am new to the export field . i received IE code from DGFT. One clearing agent informed that the AD code to be registered with customs EDI system and the clearing agent charging 1500 rupees for each registration. (he told that the registration to be made at trichy air & MAA air for perishable cargo and MAA sea for normal cargo) what is EDI registration?AD code registration with customs EDI system is necessary for export? if it is necessary any online registration possible? Admin: On 12 February 2015 Hi Sivaji exports, As per present procedures in Customs department in India, AD code registration is required. However AD code registration at each customs port may be lifted of later, if new policy and changes introduces. Sunny Kaushal : On 10 August 2016 I require some information from you, our container is strucked by the quarantine department, it consists of dog food, samples have been taken by the concerned department and have been sent to laboratory for testing. But in the meanwhile we have been paying demmurage charges which are very high. We do not how much days will go for sampling issue now and we have to pay the demmurage charges, is there any way out to reduce the charges? Kareem: On 02 September 2016 I have to clear 10 containers to be cleared from an Indian port. It is now 60 days after the container arrived at port. Can anybody please explain how can I get waiver on detention charges or are there any prevailing rules in relation to this for a maximum limit of detention fees chargeable. Presently the detention charges arrived more than 50% of cost of materials and multiple values of cost of containers.